There are many reasons why everyone should register for My Rotary, Actually every Rotarian has one already even if you have not activated it. 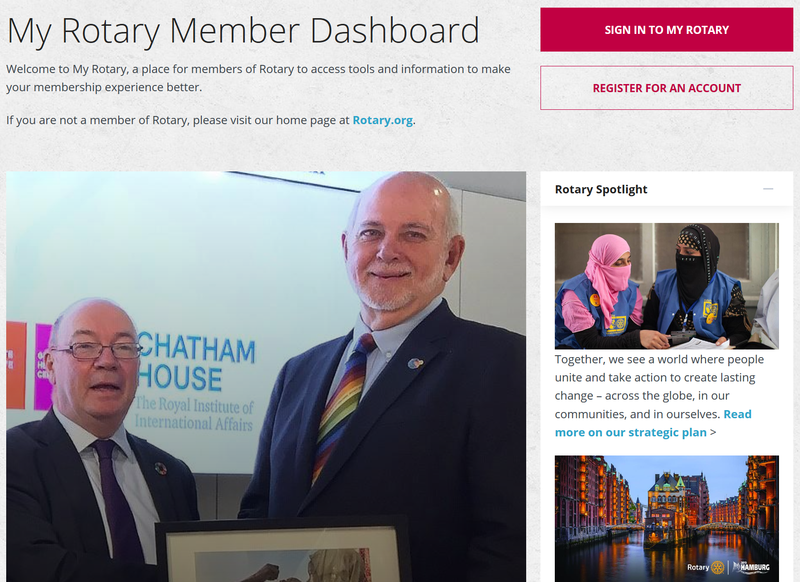 But if you have activated it you can take part of the information Rotary International has about you, and you can change information about your self. Like change e-mail, phone number or address. 1. Connect with other Rotarians across the world and exchange ideas and send them messages. 2. Join Rotary groups that you might find interesting, Groups about Cricket, Golf, or web design. 3. Learn more about Rotary. Find and get manuals and guides and see what Rotary is doing around the world. 4. Keep track of your contributions and make reports of your donations. 5. View reports and citations from our club and District. 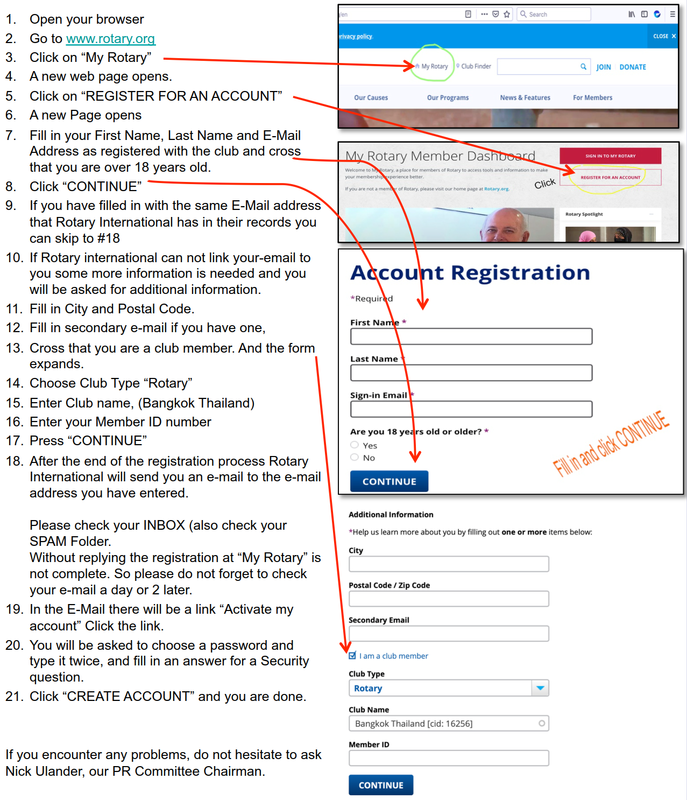 See below about how to register My Rotary.